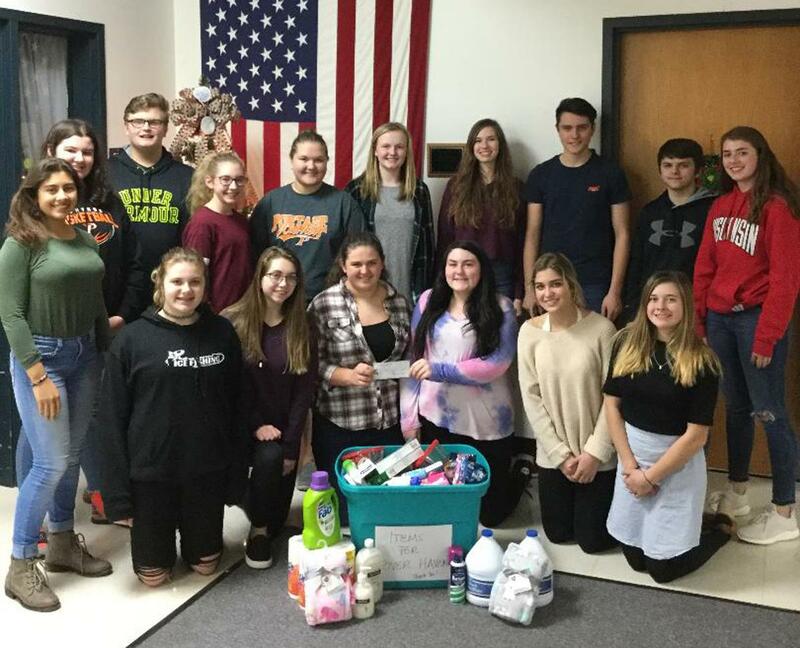 Shown below is the PHS Interact Club with the donations they collected for River Haven Homeless Shelter in Portage along with a check for $403 from Portage Rotary. The members of Portage Rotary collected $203 and the Portage Rotary Club matched $200. Donation Items and the $403 check were taken directly to River Haven after the Interact meeting at the Portage High School today.